Large and elegant Easter eggs that stand out with both taste and style. 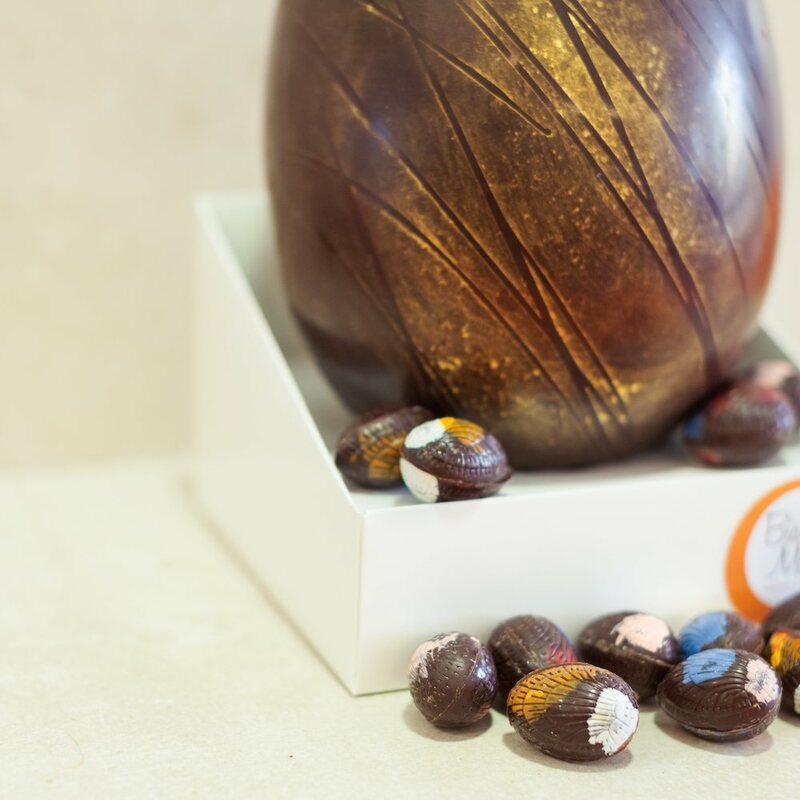 They are hand-made with love and care using high quality single origin 75% Tanzanian dark chocolate. They boast a beautiful gold shimmer while allowing the natural beauty of chocolate to shine as well. 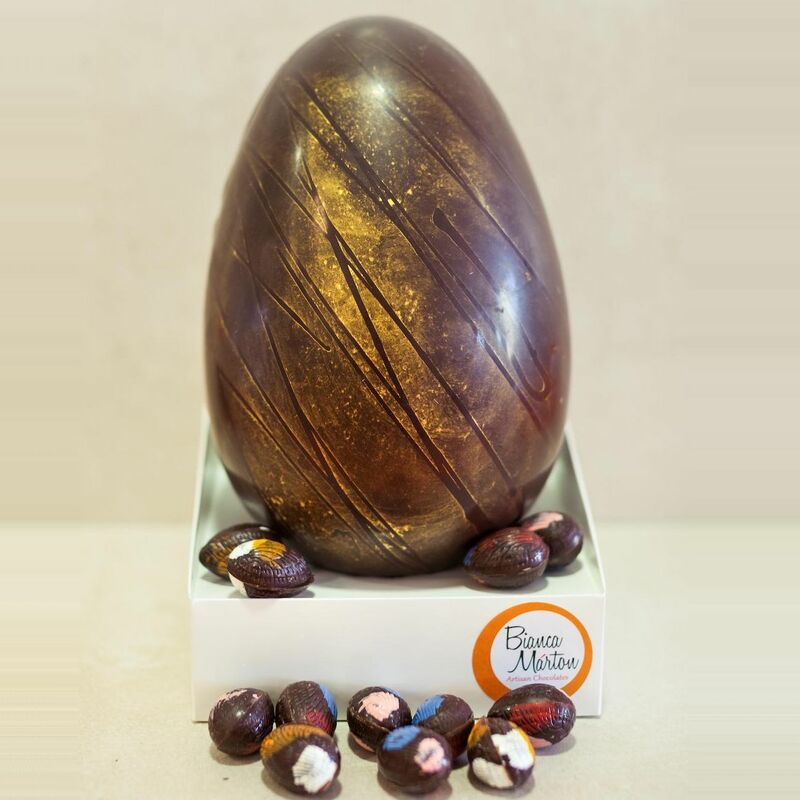 Our best selling praline filled mini Easter eggs, which you may order with these eggs using the optionon the right hand side add an extra element of delicious joy. 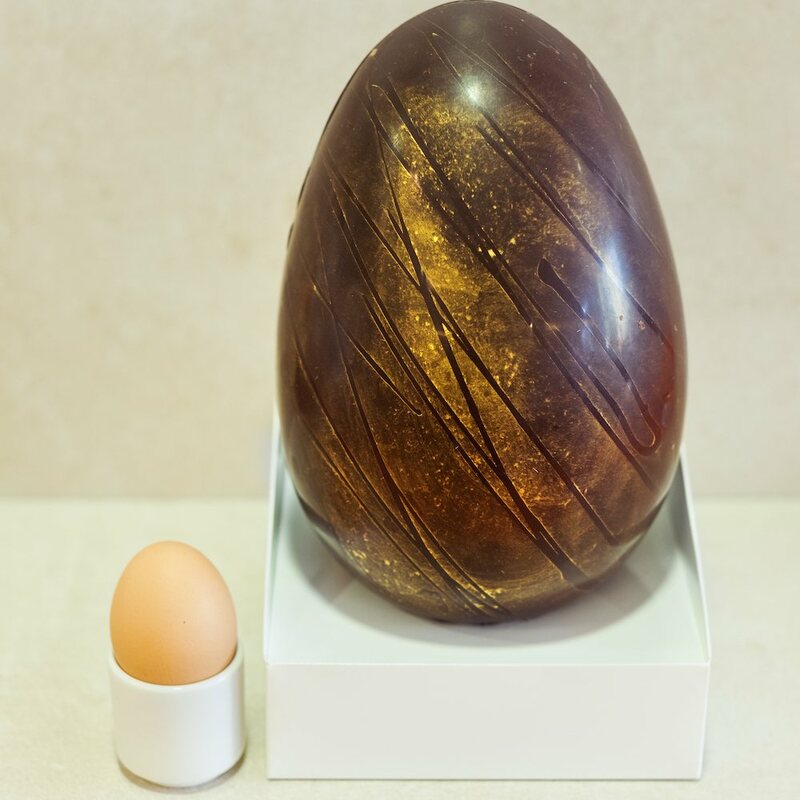 These Easter eggs are individually made, no two are identical. There will be slight differences in the patterns. 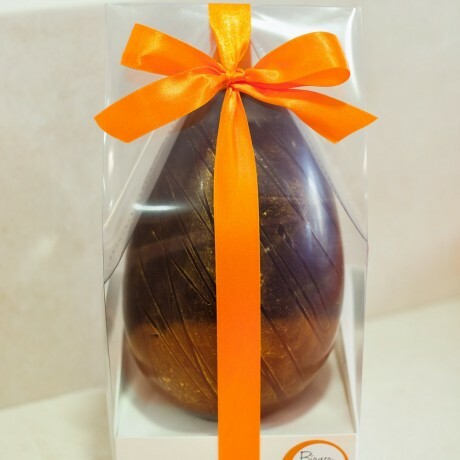 75% Dark chocolate (cocoa mass, cocoa butter, cane sugar), edible gold shimmer contains E171 and E172. The praline filling of the mini eggs contain sugar, hazelnuts, cocoa mass, cocoa butter, soya lecithin. The Easter egg contains no allergens. The mini eggs contain nuts and soy.